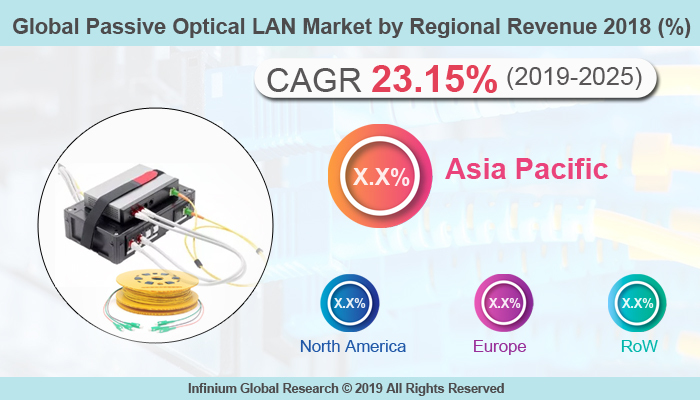 A recent report published by Infinium Global Research on data center interconnect platform market provides an in-depth analysis of segments and sub-segments in the global, as well as regional data center interconnect platform market. The report is a comprehensive presentation of trends, forecast and dollar values of global data center interconnect platform market. According to the report, the global data center interconnect platform market is projected to grow at a CAGR of 13.4% over the forecast period of 2019-2025. A recent report published by Infinium Global Research on document capture software market provides in-depth analysis of segments and sub-segments in the global as well as regional document capture software market. The report is a comprehensive presentation of trends, forecast and dollar values of global document capture software market. According to the report, the global document capture software market is projected to grow at a CAGR of 12.1% over the forecast period of 2019-2025. A recent report published by Infinium Global Research on transparent OLED display market provides an in-depth analysis of segments and sub-segments in the global as well as regional transparent OLED display market. The report is a comprehensive presentation of trends, forecast and dollar values of the global transparent OLED display market. According to the report, the global transparent OLED display market is projected to grow at a Healthy CAGR over the forecast period of 2019-2025. A recent report published by Infinium Global Research on head-up display market provides in-depth analysis of segments and sub-segments in the global as well as regional head-up display market. The report is a comprehensive presentation of trends, forecast and dollar values of the global head-up display market. According to the report, the global head-up display market is projected to grow at a CAGR of 30.1% over the forecast period of 2019-2025. A recent report published by Infinium Global Research on the fan heater market provides an in-depth analysis of segments and sub-segments in the global as well as regional fan heater market. The report is a comprehensive presentation of trends, forecast and dollar values of global fan heater market. According to the report, the global fan heater market is projected to grow at a CAGR of 2.2% over the forecast period of 2019-2025. A recent report published by Infinium Global Research on smart fleet management market provides in-depth analysis of segments and sub-segments in the global as well as regional smart fleet management market. The report is a comprehensive presentation of trends, forecast and dollar values of global smart fleet management market. According to the report, the global smart fleet management market is projected to grow at a CAGR of 7.7% over the forecast period of 2019-2025. A recent report published by Infinium Global Research on industrial routers market provides an in-depth analysis of segments and sub-segments in the global as well as regional industrial routers market. The report is a comprehensive presentation of trends, forecast and dollar values of global industrial routers market. According to the report, the global industrial routers market is projected to grow at a CAGR of 8.6% over the forecast period of 2018-2024. 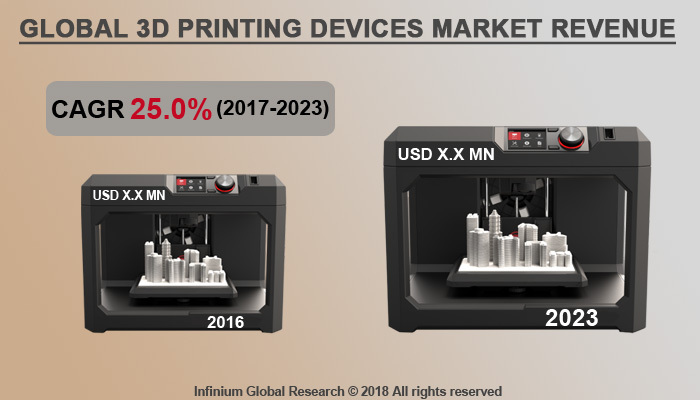 A recent report published by Infinium Global Research on cutting equipment market provides in-depth analysis of segments and sub-segments in the global as well as regional cutting equipment market. The report is a comprehensive presentation of trends, forecast and dollar values of global cutting equipment market. According to the report, the global cutting equipment market is projected to grow at a CAGR of 5.3% over the forecast period of 2018-2024. A recent report published by Infinium Global Research on workflow automation and optimization software market provides an in-depth analysis of segments and sub-segments in the global as well as regional workflow automation and optimization software market. The report is a comprehensive presentation of trends, forecast and dollar values of global workflow automation and optimization software market. According to the report, the global workflow automation and optimization software market is projected to grow at a CAGR of 8.6% over the forecast period of 2018-2024. A recent report published by Infinium Global Research on data center networking market provides an in-depth analysis of segments and sub-segments in the global as well as regional data center networking market. The report is a comprehensive presentation of trends, forecast and dollar values of global data center networking market. According to the report, the global data center networking market is projected to grow at a CAGR of 15.4% over the forecast period of 2018-2024. A recent report published by Infinium Global Research on smart homes market provides in-depth analysis of segments and sub-segments in the global as well as regional smart homes market. The report is a comprehensive presentation of trends, forecast and dollar values of the global smart homes market. According to the report, the global smart homes market is projected to grow at a CAGR of 14.5% over the forecast period of 2018-2024. A recent report published by Infinium Global Research on power system analysis software market provides an in-depth analysis of segments and sub-segments in the global as well as regional power system analysis software market. The report is a comprehensive presentation of trends, forecast and dollar values of global power system analysis software market. According to the report, the global power system analysis software market is projected to grow at a CAGR of 12.6% over the forecast period of 2018-2024. A recent report published by Infinium Global Research on RFID locks market provides an in-depth analysis of segments and sub-segments in the global as well as regional RFID locks market. The report is a comprehensive presentation of trends, forecast and dollar values of global RFID locks market. According to the report, the global RFID locks market is projected to grow at a CAGR of 17.8% over the forecast period of 2018-2024. A recent report published by Infinium Global Research on electronic scrap recycling market provides an in-depth analysis of segments and sub-segments in the global as well as regional electronic scrap recycling market. The report is a comprehensive presentation of trends, forecast and dollar values of global electronic scrap recycling market. According to the report, the global electronic scrap recycling market is projected to grow at a CAGR of 8.2% over the forecast period of 2018-2024. A recent report published by Infinium Global Research on high availability server market provides in-depth analysis of segments and sub-segments in the global as well as regional high availability server market. The report is a comprehensive presentation of trends, forecast and dollar values of global high availability server market. According to the report, the global high availability server market is projected to grow at a CAGR of 11.5% over the forecast period of 2018-2024. A recent report published by Infinium Global Research on mobile robotics market provides in-depth analysis of segments and sub-segments in the global as well as regional mobile robotics market. The report is a comprehensive presentation of trends, forecast and dollar values of the global mobile robotics market. According to the report, the global mobile robotics market is projected to grow at a CAGR of 15.4% over the forecast period of 2018-2024. 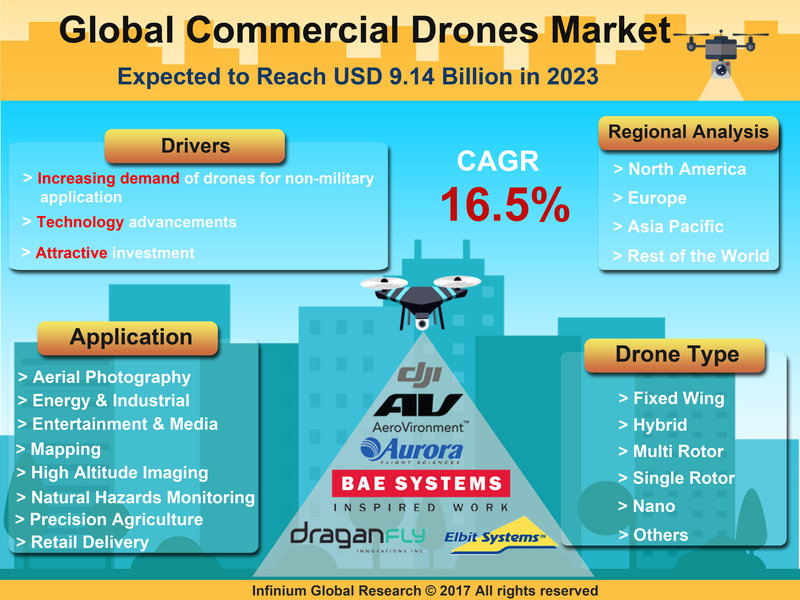 A recent report published by Infinium Global Research on 3D radar market provides in-depth analysis of segments and sub-segments in the global as well as regional 3D radar market. The report is a comprehensive presentation of trends, forecast and dollar values of global 3D radar market. According to the report, the global 3D radar market is projected to grow at a CAGR of 18.7% over the forecast period of 2018-2024. 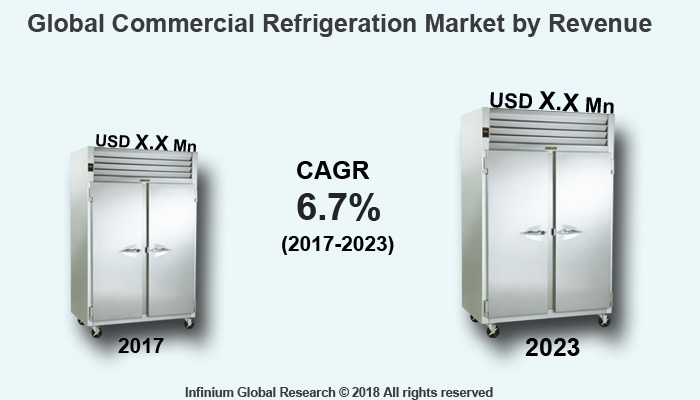 A recent report published by Infinium Global Research on data center infrastructure management market provides an in-depth analysis of segments and sub-segments in the global as well as regional data center infrastructure management market. The report is a comprehensive presentation of trends, forecast and dollar values of global data center infrastructure management market. According to the report, the global data center infrastructure management market is projected to grow at a CAGR of 19.6% over the forecast period of 2018-2024. A recent report published by Infinium Global Research on edge computing market provides in-depth analysis of segments and sub-segments in the global as well as regional edge computing market. The report is a comprehensive presentation of trends, forecast and dollar values of the global edge computing market. According to the report, the global edge computing market is projected to grow at a CAGR of 35.8% over the forecast period of 2018-2024. A recent report published by Infinium Global Research on hadoop market provides in-depth analysis of segments and sub-segments in the global as well as regional hadoop market. The report is a comprehensive presentation of trends, forecast and dollar values of global hadoop market. According to the report, the global hadoop market is projected to grow at a CAGR of 28.9% over the forecast period of 2018-2024. A recent report published by Infinium Global Research on the internet of things (IoT) in logistics market provides in-depth analysis of segments and sub-segments in the global as well as regional internet of things (IoT) in logistics market. The report is a comprehensive presentation of trends, forecast and dollar values of global internet of things (IoT) in logistics market. According to the report, the global internet of things (IoT) in logistics market is projected to grow at a CAGR of 13.6% over the forecast period of 2018-2024. A recent report published by Infinium Global Research on machine learning as a service market provides in-depth analysis of segments and sub-segments in the global as well as regional machine learning as a service market. The report is a comprehensive presentation of trends, forecast and dollar values of global machine learning as a service market. According to the report, global machine learning as a service market is projected to grow at a CAGR of 38.5% over the forecast period of 2018-2024. A recent report published by Infinium Global Research on master data management market provides an in-depth analysis of segments and sub-segments in the global as well as regional master data management market. The report is a comprehensive presentation of trends, forecast and dollar values of global master data management market. According to the report, the global master data management market is projected to grow at a CAGR of 17.1% over the forecast period of 2018-2024. A recent report published by Infinium Global Research on network security policy management market provides an in-depth analysis of segments and sub-segments in the global as well as regional network security policy management market. The report is a comprehensive presentation of trends, forecast and dollar values of global network security policy management market. According to the report, the global network security policy management market is projected to grow at a CAGR of 9.6% over the forecast period of 2018-2024. A recent report published by Infinium Global Research on the smart retail market provides in-depth analysis of segments and sub-segments in the global as well as a regional smart retail market. The report is a comprehensive presentation of trends, forecast and dollar values of the global smart retail market. According to the report, the global smart retail market is projected to grow at a CAGR of 21.3% over the forecast period of 2018-2024. A recent report published by Infinium Global Research on vacuum interrupters market provides in-depth analysis of segments and sub-segments in the global as well as regional vacuum interrupters market. The report is a comprehensive presentation of trends, forecast and dollar values of global vacuum interrupters market. According to the report, the global vacuum interrupters market is projected to grow at a CAGR of 5.9% over the forecast period of 2018-2024. 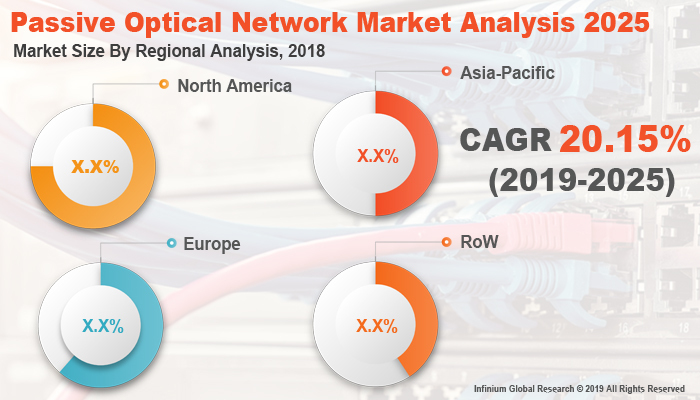 A recent report published by Infinium Global Research on intelligent networks market provides in-depth analysis of segments and sub-segments in the global as well as regional intelligent networks market. The report is a comprehensive presentation of trends, forecast and dollar values of global intelligent networks market. According to the report, the global intelligent networks market is projected to grow at a CAGR of 25.1% over the forecast period of 2018-2024. A recent report published by Infinium Global Research on smart lighting and control systems market provides an in-depth analysis of segments and sub-segments in the global as well as regional smart lighting and control systems market. The report is a comprehensive presentation of trends, forecast and dollar values of global smart lighting and control systems market. According to the report, the global smart lighting and control systems market is projected to grow at a CAGR of 17.8% over the forecast period of 2018-2024. A recent report published by Infinium Global Research on smart toys market provides in-depth analysis of segments and sub-segments in the global as well as regional smart toys market. The report is a comprehensive presentation of trends, forecast and dollar values of global smart toys market. According to the report, the global smart toys market is projected to grow at a CAGR of 3.1% over the forecast period of 2018-2024. A recent report published by Infinium Global Research on ERP software market provides an in-depth analysis of segments and sub-segments in the global as well as regional ERP software market. The report is a comprehensive presentation of trends, forecast and dollar values of global ERP software market. According to the report, the global ERP software market is projected to grow at a CAGR of 7.5% over the forecast period of 2018-2024.